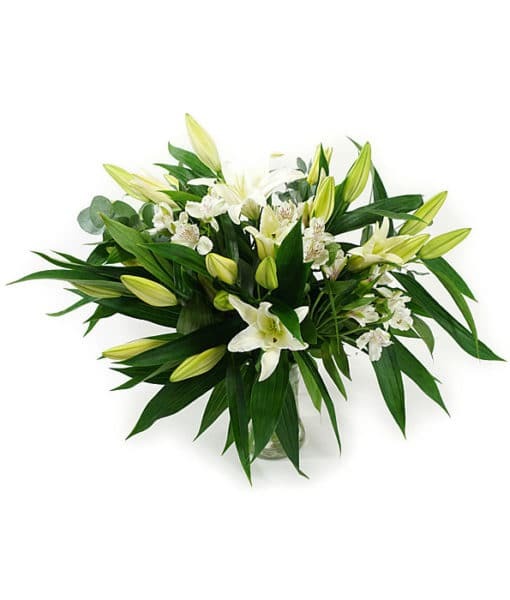 White Lillies – from simplicity to sympathy. 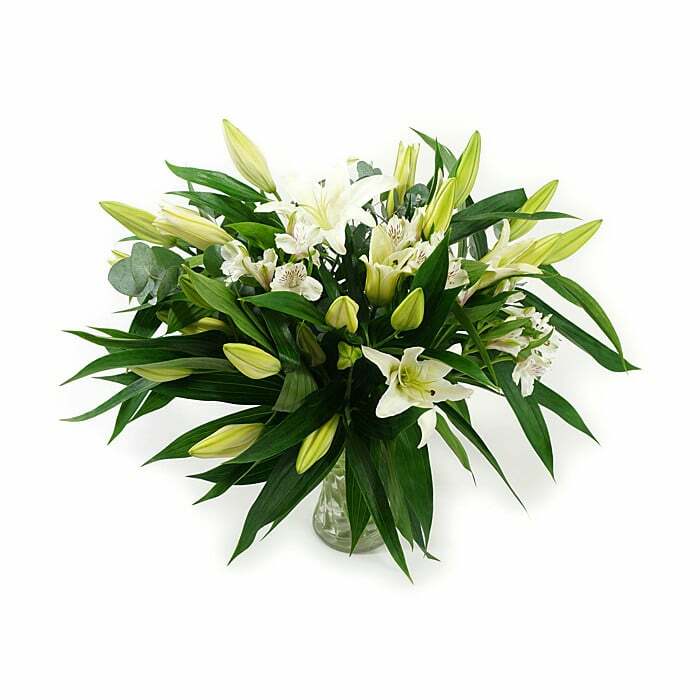 A stunning bouquet conveys calmness, a cool space, a beautiful table, A welcome gift of flowers where the scent is divine and the colours don’t clash. 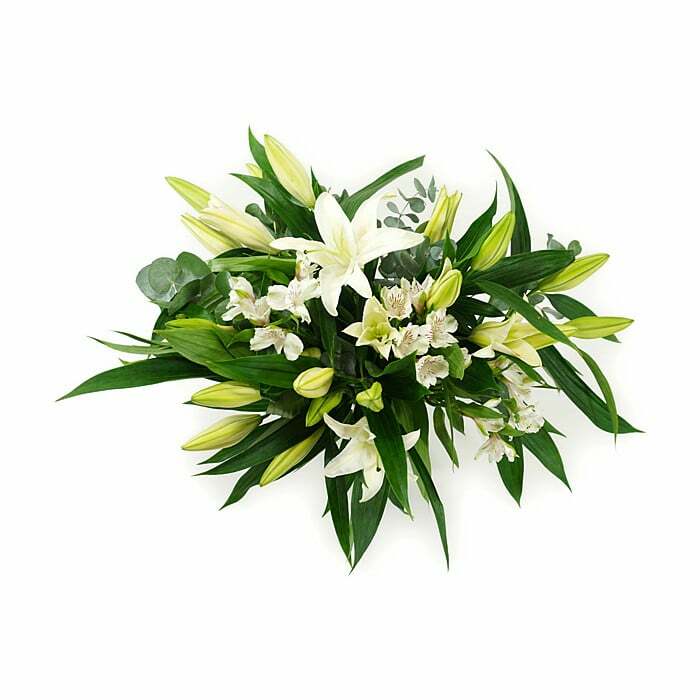 Or a subtle expression of solace in times of loss. 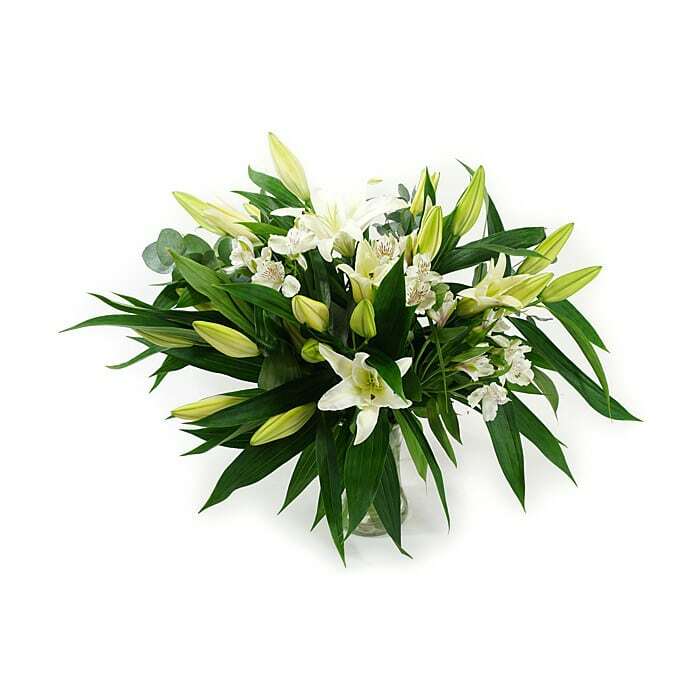 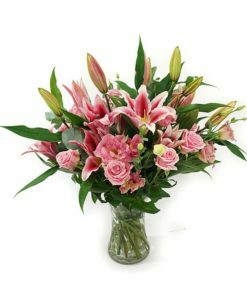 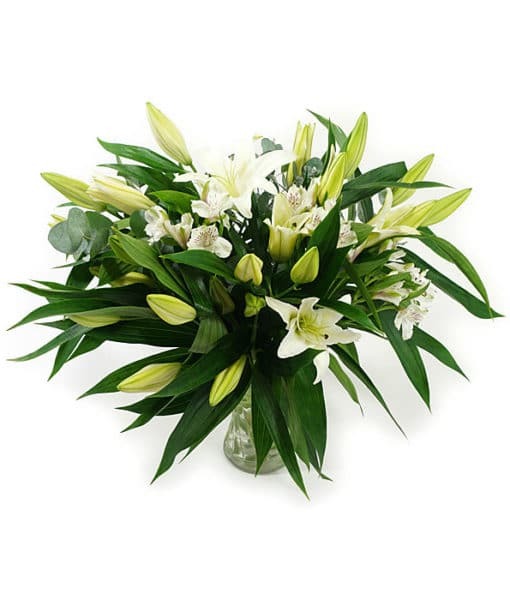 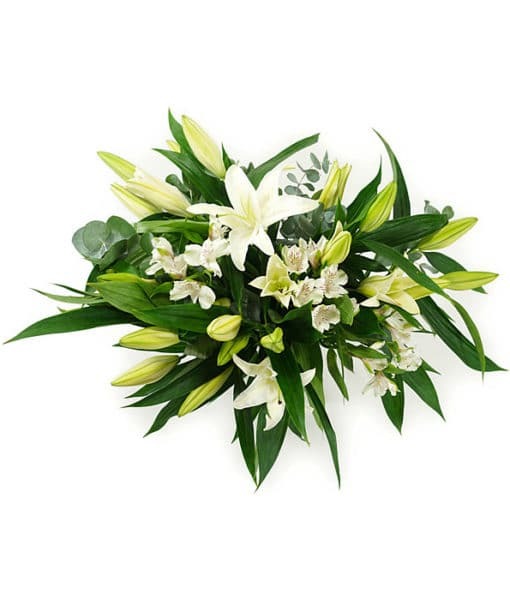 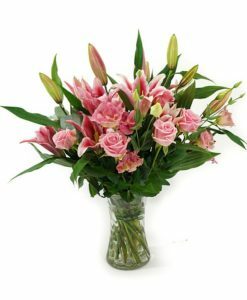 Bouquet consisting of highly scented white Lilies complemented by Eucalyptus foliage.